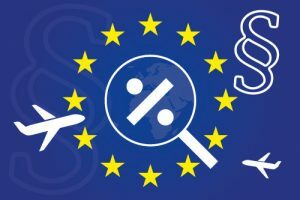 Aircraft importation in the EU: has a lessee been denied the right to reclaim/recover the VAT imposed during an importation in various EU member states? This survey no. 4 must be seen in connection with the BREAKING NEWS from June 2017 with the subject “Significant change for EU aircraft importations and leasing structures”. Denmark have since 2015 denied a lessee the right to reclaim/recover any VAT imposed during an importation. We have therefore found it interesting to check if this has only been implemented in Denmark or also in the other EU member states and we have therefore commissioned a verification survey about this subject. Most EU member states have not chosen to align their local guidelines with the instructions coming from the EU Commission and have denied a lessee the right to reclaim/recover the VAT imposed during an importation. It is unclear whether or not the EU Commission is aware of this malpractice and will eventually pursue this. The practice is not legal in our opinion. What is the local view in the mentioned EU member states? The results are based on the answers received from an international consulting firm in the respective countries. 1) The original answer was a ‘yes’ based upon a ruling from the Dutch Supreme Court, but a denial has not happened in practice. 2) Awaiting confirmation from Maltese VAT authorities. 3) It is taken for granted that lessee will use the aircraft 100% in pursuit of economic activity. Business aircraft are quite often owned by leasing/financing companies (lessors) which are traditionally not keen to take the responsibility for an importation. This means that the operator (lessee) needs to use one of the non-complying member states to ‘solve’ the VAT problem or make a costly restructuring of the ownership. The same non-complying member states do also often offer 0% VAT to aircraft that are not used 100% commercial by using the airline VAT exemption as an alibi (please see survey 2). This makes the competition totally unfair for aircraft owners and operators operating in EU member states that actually follows the guidelines from the European VAT Committee. Competition between EU member states is sound, but the competition becomes unfair when the guidelines from the European VAT Committee are not followed by all member states. Some member states do not follow the EU standards or guidelines, and this is often sanctioned by their local tax/customs authorities in order to offer a better business environment or to create local gateways for certain industries. These jurisdictions are known to bend the rules in favor of local companies, often by only implementing a light version of any new regulation or by simply ignoring or delaying the required implementation. The risk of being denied access to reclaim VAT should be taken into consideration if the aircraft structure is based on a non-EU lessor with a lessee being the importing entity in the EU. Please be cautious if the importer is not the real owner of the aircraft. WARNING: Be aware if leasing agreements are used and structured in a way where a lessee is supposed to reclaim the VAT – based on suggested business use. The VAT rates in the EU are between 17-27%, implying a tremendous economic risk! What to do for an EU based entity or aircraft registered in the EU customs territory – possible solution: Structure the ownership so that the real owner is the importer. This might prove difficult as many lessors/lenders/financers will probably not accept the risk of being the importing entity. The Temporary Admission procedure cannot be used by EU based entities or for aircraft registered in the EU customs territory. The only option is to use full importation. It is important to analyze your usage of the aircraft and eventually consult your local VAT adviser for a verification of the exact usage. What to do for a non-EU entity – possible solution: Most non-EU operators already use Temporary Admission. Full importation includes a lot of potential VAT/tax liability which nobody wants, and which typically requires 5 years of correct economic activity and 7 years of recordkeeping. All these factors are eliminated with the use of Temporary Admission and most non-EU operators will in fact have the same flying privileges as under full importation. Temporary Admission will give the declarant more flexibility and extra advantages such as unrestricted personal, family and guest usage also for EU-resident passengers. Well-informed tax advisors and aviation service providers in the said member states should already have taken these changes into consideration at least since the end of 2015. We realise that not all EU member states have aligned their local interpretation at present, but all member states will eventually have to do so!